At EarthLink our Channel Partners are vital to our success. Our tenured channel leadership team works tirelessly to develop a mutually rewarding relationship that benefits you, your customers and EarthLink. All of the resources you need to sell and succeed are in one place with our easy to use Partner Portal. We believe in rewarding top performers and those with a high rate of inclusion and we have designed our incentive program to encourage a mutually beneficial level of engagement. EarthLink can also help you expand your market position and offer your customers the industry’s broadest range of network services along with integrated unified communications and collaboration services. For more information on our Channel Programs contact us at: ThinkEarthLink@elnk.com or 1-844-856-1205. 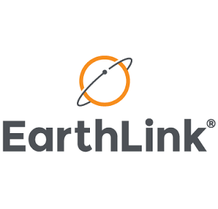 EarthLink is a leading network services provider dedicated to delivering engaging customer experiences in a cloud connected world. We help thousands of multi-location businesses optimize application performance and deliver secure, reliable connectivity in the cloud. Our solutions for SD-WAN, cloud and hybrid networking, security and UC/voice provide the cost-effective performance and agility to enable IT transformation and innovations including unified commerce and the Internet of things. We operate a nationwide network spanning 29,000+ fiber route miles, with 90 metro fiber rings and secure data centers providing the ubiquitous coverage required to serve customers anytime, anywhere via any device.